Used in 37 recipes at an average of 1.131%. his was based off of a crown royal apple valentines day cocktail. Brandy is used here since there are very few solid cognac flavors that come across as cognac without some hard to avoid off notes. bandy has a sweet grape that leans almost dark raisin fruit note with a nice warm boozie . There is also a bit of an orange peel finish. it is ideal for cocktails. Pomegranate and grenadine create a pretty solid genedeine type of syrup. WF grenadine is thin but has a solid flavor and needs help. FA pomegranate is really close to a solid grenadine so it is used here. Lemon FE is just a solid fresh lemon that will hold up and last in this mix , as many lemons tend to fade. honey Pomelo adds a nice finish to the mix and helps the pomegranate and lemon. f you want a more prominent sour note try a bit of VT lemon sour in addition. NOTES: FA brandy can be used in place of VT but it does not carry a boozie note but will work nicely here are as well. I like a bit of sweetener with fruit so I added FLV sweetness at .50% . FLV cranberry can be subed for apple - cran for a tarter mix. but I really like that touch of apple in the cran apple. This mix is based on the Picarones – Peruvian doughnuts, bunuelos, or beignets. 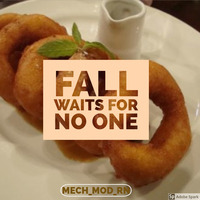 It is a fried doughnut that is made from boiled pumpkin and sweet potato, mixed with flour and yeast and then fried. There is no egg or milk added. it is served with a sugar cane syrup of fruit and spices. VT golden syrup, VT orange marmalade, FLV pumpkins spice combine to create the dipping syrup that this is served with picarones. VT golden syrup is pretty useful for creating the base here along with the slight sweet citrus note of the orange marmalade . The pumpkin spice is ideal for the spice blend that is added to the syrup. Please rate this recipe and comment below! I would LOVE to hear your experience." 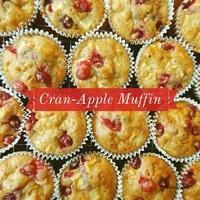 This is an adaption of Emily's @mlNikon, recipe Cran -Orange Muffin. I did this in October of last year; however, never released it. What better time to release, but the present as we are talking about apples on Daytime Franks Apple show. 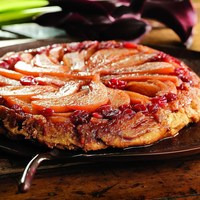 This ultimate fall and winter tart showcase the best fruits of the season: apples, and cranberries. Unlike other tarts, the Tarte Tatin is made upside down in a skillet. All FLV in this recipe, less is more. Apple Filling, Apple Cranberry and a twist of Lime Wedge are the fruit filling for this dark and delicious vape. For the bakery foundation, I used Sweet Dough, Pastry Zest, and Granola, this combination with notes from cinnamon and crunchy nuts makes this a very enjoyable mix where all aromas are perfectly layered. Opted for Butterscotch as dressing instead of caramel, the FLV Butterscotch has that perfect buttery/brown sugar taste I liked for this mix and added some Marshmallow for a smooth mouthfeel. I find this perfectly sweetened for my taste but as always, sweeten to your likings. Steeped this 14 days and in my honest opinion the perfect steep time. Recipe for week 4 of month 2 of the Mixin Vixens youtube show. 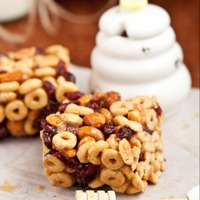 Fruity, honey, and cereal bars, held together with sticky goodness. 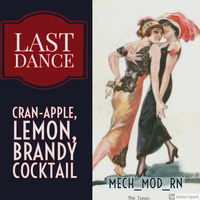 The cranberry apple create the mid note of this mix and blends well. 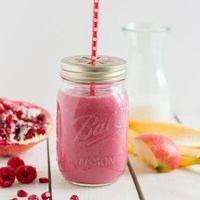 The FLV cranberry apple is a very strong flavor and needs to be used low % but could be boosted a bit more if you want a more prominent cranberry note. The brandy and Sparkling wine helps to bring that grape booze note forward that is part of sangria along with the blood orange and sorbet to bring that cooling sensation . NOTE: The basil does not have to be added but works really well as a note that is present on the exhale and is similar to what you may experience with mint but slightly sweeter and not as overpowering.